KATYA APEKISHEVA is a renowned Russian born pianist who is in great demand both as a soloist and as a chamber musician. She will give two concerts at Os Agostos during April. The first will be on Tuesday April 16 and Katya will play music by Mozart, Schubert, Tchaikovsky, Scriabin and Chopin. Katya’s second concert will be on Thursday April 18 and the programme will consist of compositions by Prokofiev, Schubert, Haydn, Janacek and Rachmaninov. Katya was born into a family of musicians in Moscow. She studied at the world-renowned Gnessin Music School in Moscow for exceptionally gifted children. At the age of twelve she performed Mozart’s Concerto No.17 with the Gnessin School Orchestra which was recorded by Moscow Classical Radio. Katya was a prize winner in the Leeds International and Scottish Piano Competitions and was once the London Philharmonic “Soloist of the Year”. As a result she has been recognised as an exceptionally gifted pianist. Katya continued her studies at the Rubin Music Academy in Jerusalem where she won an American-Israel Foundation scholarship. Katya then moved to London to study at the Royal College of Music where she was the recipient of the President’s Rose Bowl presented to her by HRH the Prince of Wales to whom she has been asked to perform on several subsequent occasions. As a recording artist Katya has received widespread critical acclaim for her interpretations. Her 2008 recording of Grieg’s solo piano works was selected for a Rising Star Award in International Piano Magazine. 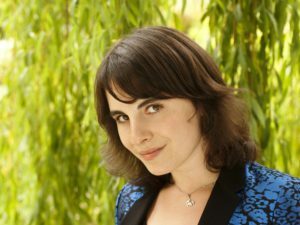 She has collaborated with violinist Jack Liebeck including a Classical Brit winning CD of works by Dvorak and more recently has produced a disk of Kreisler arrangements. Katya has continued a collaboration with the award winning Belcea Quartet at the Wigmore Hall. Internationally, Katya made a concerto tour of South Africa performing with all the major orchestras there. She has also performed with the Santiago Philharmonic, Wiesbaden Orchestra, English Chamber Orchestra, Royal Philharmonic Orchestra and Mexico’s OFUNAM Orchestra. 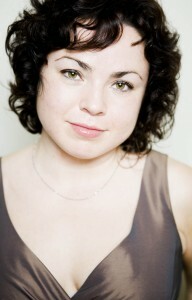 Katya is Co-Artistic Director of the London Piano Festival. Katya is a Professor of Piano at the Guildhall School of Music and Drama. You are currently browsing the Forthcoming Concerts category.